Mining trucks at the Albian Sands near Fort McMurray, Alberta, Canada, on Aug. 5, 2005. 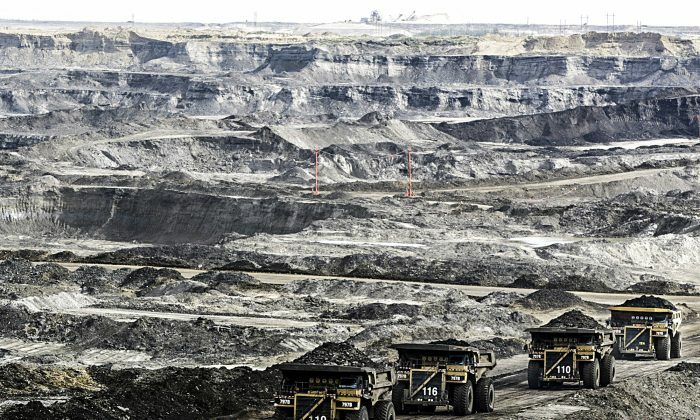 The good old days of investors pouring money into greenfield oil sands projects in hopes of tapping decades’ worth of oil are likely gone, despite whatever production cuts OPEC eventually makes, according to several analysts. The long-term nature of oil sands projects requires big money up front for steady returns over potential decades. But with shale oil projects in the United States offering almost immediate returns, any prospect of new oil sands projects seems unlikely, say analysts such as Jackie Forrest, vice president of energy research at ARC Financial Corp.
“Even if we got high oil prices, there would be a lot of caution because of the concerns around price volatility,” she said. Instead, the majority of oil sands investments will shift toward brownfield projects, said Forrest. These smaller, incremental investments will expand existing projects and the infrastructure they use to turn oil sands into heavy crude that can be piped. The whole dynamic in the oil market has changed quite dramatically with the advent of shale oil. OPEC’s decision at the end of November to cut production from 33.8 million to 32.5 million barrels per day in the new year has buoyed industry sentiment, but the benefits of that are going toward more quickly profitable shale oil projects in the United States, notes Nathan Nemeth, a research associate with commercial intelligence firm Wood Mackenzie. The production cut, however, should help fix price volatility and resolve the problem of excess capacity creating growing oil reserves. There remains some question, though, of whether the Saudis and other OPEC members will hold to their reduction pledges. “If it comes to fruition, it will help with that supply-demand rebalancing,” said Nemeth. Canada’s oil sands have their own part in that. 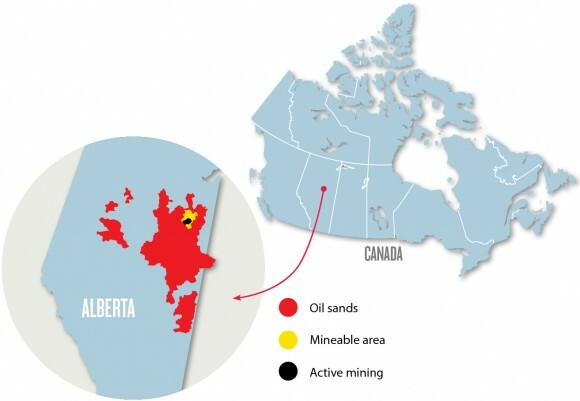 Because of the long-term nature of oil sands projects, much of the money invested in megaprojects is still making an impact, said Mark Oberstoetter, a senior manager responsible for exploration and production research at Wood Mackenzie. “The sector will continue to grow for the next few years,” he said. But the writing is on the oil well, with producers like ConocoPhillips and Devon Energy—which have stakes in the oil sands and in American shale—focusing their new investments in shale oil in the United States, where projects are cheaper, returns are quicker, and profits don’t hinge on prices holding steady for decades at a time. While oil sands projects can eventually pump out oil for as little at $8 a barrel, getting there takes years, and few investors feel like they’ve got that kind of time. Lifetime per-barrel costs are also higher than most shale projects, according to analysts. The Shell Albian mine near Fort McMurray, Canada, on Oct. 23, 2009. 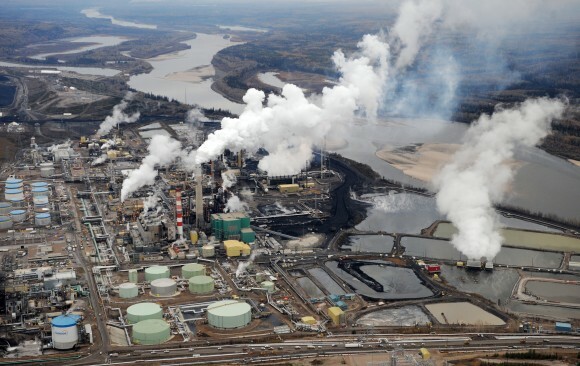 When the bottom dropped out of the price of oil in 2014 following Saudi Arabia’s decision to flood the market and kneecap the U.S. shale revolution before it took too much market share, most oil sands projects below 60 percent completion were shelved, said Nemeth. That fact makes the recent revival of Horizon’s Kirby North in northern Alberta look like a promising sign, say Nemeth and Oberstoetter, though Forrest notes that the sunk costs already put into that project make it unique. None of the analysts expect a flood of similarly stalled projects to be revived. 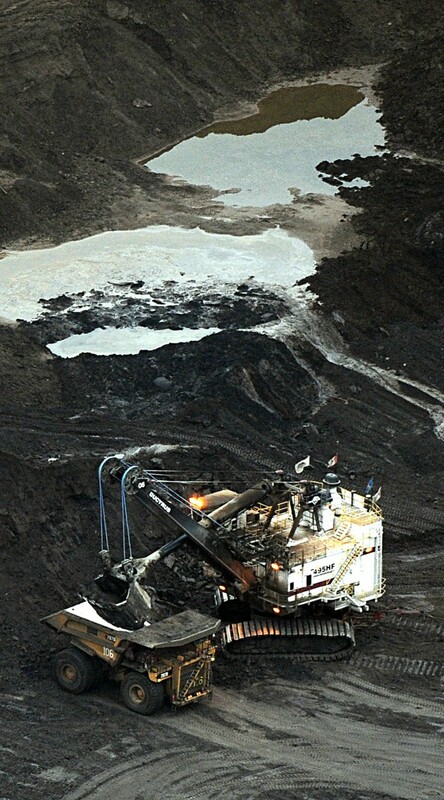 One of the unique elements of oil sands production is that once a project has begun, and the underground deposit has been heated and prepped for extraction, shutting it down can cause permanent damage to the reservoir. That makes companies willing to take a loss in the short term in hopes that prices will go up over the years and sometimes decades ahead. With current production continuing to grow, Canadian producers will need expanded pipelines to feed refineries in the U.S. Midwest and Gulf Coast that have been refitted, at billions of dollars, for the kind of oil Canada has by the truckload.The Canadian Association of Petroleum Producers said in a recent statement that existing pipelines are already operating near their capacity of 4 million barrels per day. They will need to expand to accommodate the 850,000 more barrels per day that are projected to come online by 2021 and a further 700,000 barrels by 2030. That extra capacity will be helped by Ottawa’s recent approval of the Trans Mountain Expansion Project, which, after clearing other hurdles including court challenges, will bring an additional 590,000 barrels per day from Alberta to tankers and other pipelines at its terminus near Vancouver, British Columbia. But the largest demand is still at the Gulf Coast in Texas, where refineries are hungry for Canada’s heavy crude. The three analysts agree that TransCanada is likely to do only one of its two potential projects, and the Keystone XL project, which goes to those refineries, is preferred. But Matthew Foss, chief energy economist with Alberta, Canada’s Department of Energy, notes that the billions invested to modify those refineries for heavy crude could be invested to modify them again for other types of oil. Time is a factor. Like the others, he doesn’t foresee a return to the huge oil sands investments of pre-2014. “The whole dynamic in the oil market has changed quite dramatically with the advent of shale oil,” he said. Previously, investors were looking at a finite and declining supply, following the so-called peak oil. “We’re now far more concerned globally with peak demand,” Foss said. And that demand doesn’t look like it’s going to pick up anytime soon. In fact, Foss notes with interest that electric cars, next-generation batteries, and the potential for autonomous shared vehicles could all have unpredictable impacts on energy consumption. “There are many questions around this,” said Foss.